Tinder is supposed to dish out $17.25 million dollars worth of cash and in-app features to users over the age of 29 who were required to pay extra for their subscription services. In 2015, the Tinder dating app launched Tinder Plus. While the basic Tinder service remained free, it limited the amount of profile-swipes someone could make in a day, whereas Tinder Plus began featuring perks like unlimited swipes, a “passport” option that allowed swiping in different cities, more “super likes,” and the option to undo a swipe. The new features cost $9.99 in most places—that is, for users who were in their late teens and 20s. Anyone 30 and up had to pay $19.99. But Lisa Kim saw the pricing tier as age discrimination, and filed a complaint last year in California for herself and others who had to pay twice as much for being born before 1988. Last week, Tinder settled the class action suit, as Law360 reported. Tinder did not respond to a Gizmodo request for comment. Under the settlement, Tinder agreed to stop charging different prices in California for subscription services based on age. But it may still offer a discount to users who are 21 or younger. 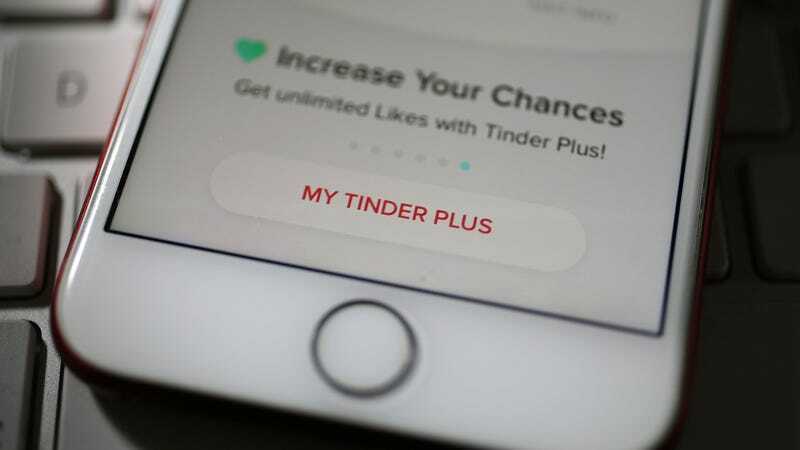 The company will compensate an estimated 230,000 people with 50 “super likes.” Additionally, the class members can choose between one of three options: a $25 check, 25 more“super likes,” or a subscription to Tinder Plus or the even more elite subscription Tinder Gold (depending on which they had been using). Kim, the lead plaintiff, will receive $5,000. Sometimes being older can pay off.